With winter on the way, many of you are probably looking for a way to keep your path and driveways clear of snow. To do this efficiency, a snow blower will be your best bet. Before you make your investment, you want to make sure you spend the money on the snow blower that’s best for your situation. To help you with this, we’ve put together this Snow Joe iON18SB review. Before we get into the review, let’s go over a few things you should look into before choosing a snow blower. The term “best snow blower” is very subjective. 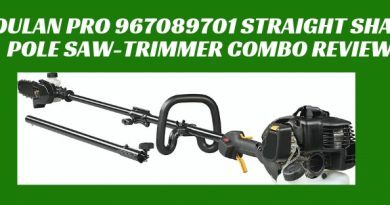 There are a large variety of snow blowers on the market, and each of them is good for different situations. Here are some questions you should ask to help determine the right snow blower for your situation. How much snow will you need to move? If you’re looking to move anywhere from 8-10 inches of snow from your walkway or driveway, a single stage snow blower will be your best bet. 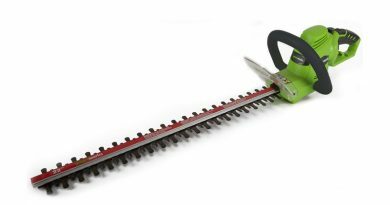 These are relatively inexpensive, especially if you go for an electric model, and are effective at getting the job done. 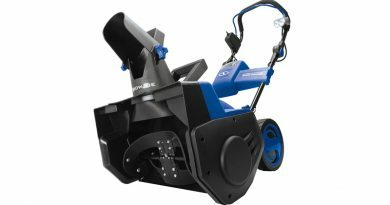 If you have more than 10 inches of snow to move, you may want to consider a two-stage snow blower like the Snow Joe ION8024-XR. Finally, before you choose your snow blower, make sure the auger housing is large enough to handle the amount of snow you need to move. If you’re moving heavy amounts of snow, you’ll also want to be sure that your snow blower makes use of a metal auger as opposed to the rubber ones typically found in single-stage snow blowers. Are electric or gas-powered snow blowers right for you? Gas powered snow blowers typically have more run time and power, but with the rising fuel costs, they may be more expensive for you long term. They also require more upkeep than their electric counterparts. Unless you need to move an amount of snow that will require an industrial powered three-stage snow blower, you should be able to find an electric model that’s right for you. 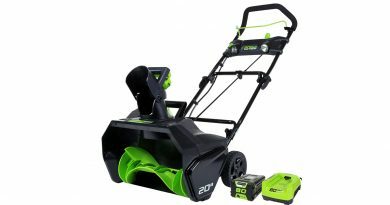 They’re relatively inexpensive, and with battery powered options available (like the single-stage Snow Joe iON18SB model reviewed below), you can easily clear that 50-foot driveway when necessary. Battery powered snow blowers usually run for about 30-60 minutes at full power, depending on a number of factors – such as battery size and power consumption, but you can get more batteries and chargers if you require more time. 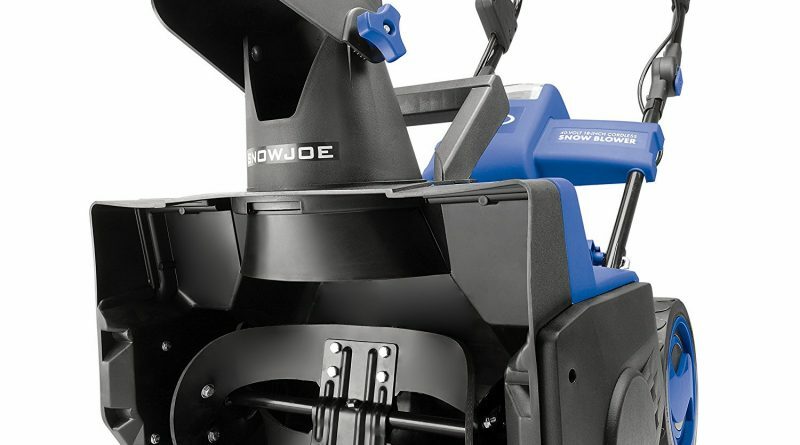 If you’ve considered the above questions and concluded that a single-stage electric snow blower is the right option for you, check out the Snow Joe iON18SB review below. The first thing you’ll notice about the Snow Joe iON18SB is that it’s cordless – completely powered by a battery. This means that you’ll easily be able to clear driveways or walkways without access to a power outlet, your snow blower won’t make as much noise as its gas-powered counterparts, and you won’t have to worry about any oil changes or tune-ups. This is all made possible with a single 40V 4AH EcoSharp rechargeable lithium-ion battery that provides up to 50 minutes of run time. The battery won’t lose power as it discharges, so you’ll get 50 minutes of full power from this snow blower. The battery compartment has a door, which keeps the battery from coming into contact with any water or snow. Unfortunately, winter days seem to last only 8 hours, and with a busy work schedule, you may only have time to clear snow during early mornings or late afternoons in darker conditions. During work, you don’t want to find yourself holding onto a flashlight while trying to push your snow blower. Luckily, the Snow Joe iON18SB comes with built in LED lights that pivot left and right so that you can clear snow at all hours – regardless of the low light conditions that you may experience. The thing that makes this and other electric snow blowers great is how easy they are to turn on. 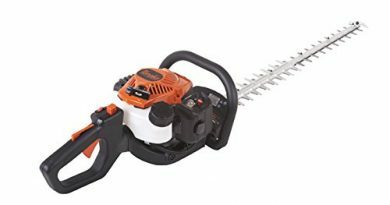 Instead of pulling a cord to get it started like with a gas-based snow blower, you can easily fire this one up with the push of a button. While the Snow Joe iOS18SB doesn’t contain a self-propelled system, it couldn’t be easier to maneuver. Weighing in at 32 pounds, it will easily clear paved sidewalks, driveways, and decks without much effort on your part. The Snow Joe iOS18SB works for 4-10 inches of snow. However, if you’re working with snow that’s less than 4 inches, you’ll need to push the machine faster so that it can throw the snow far enough away. Because of the manual nature of this snow blower, it works better with 8 inches or more of snow. One downside to this snow blower is that occasionally, you may need to lift the tires off the ground to achieve a better angle if you’re working with compact areas of snow. While the auger is made of steel, the blades are rubber. Unfortunately, this means you may experience wear and tear early on if you’re working on rough pavement. Being battery powered, it’s very easy to get to work quickly on a full charge without much preparation. The battery gives 50 minutes of run time on a full charge, which is plenty for small and medium sized driveways. Because the battery is easily replaced, you can purchase more batteries and chargers if you need more run time. The LED lights make working in low-light conditions very easy. The throwing distance of the chute is sensitive to the amount of snow going in, which means you need to push the machine faster when you have less snow to achieve a good throwing distance. The parts are easily worn, which means you may need to replace them before next winter. Luckily, the iON18SB comes with a 2-year warranty. With a battery that provides 50 minutes of run-time, this snow blower is ideal for homeowners who need to clean off a deck, driveway, or sidewalk. Attached, rotatable LED lights make working during early winter mornings or late afternoons easy. Weighing in at only 35 pounds, if will be easy to push this machine through moderate levels of snow. 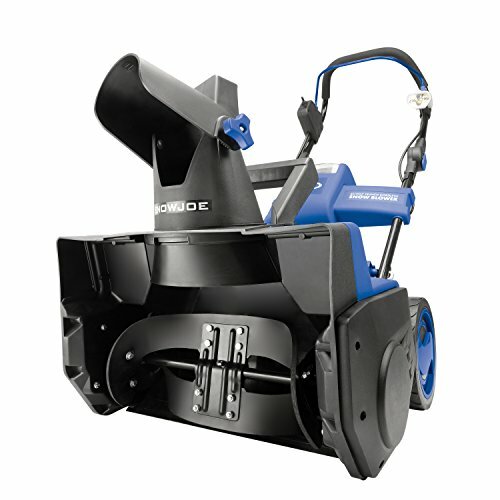 While common among single-stage snow blowers, you may experience early wear and tear due to parts that are easily worn. Because of this, make sure you keep your paperwork for the 2-year warranty that comes with the product.